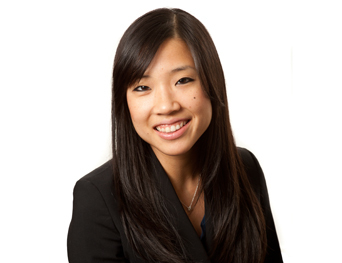 Prisca Kim is a principal in the firm's Bankruptcy & Creditors' Rights Group. Ms. Kim focuses on representing lenders in the protection and enforcement of creditors' rights in commercial workouts and bankruptcies, including restructurings, reorganizations, sales, liquidations, receiverships, assignments for the benefit of creditors and out-of-court workouts. Her bankruptcy experience includes the representation of creditors and purchasers in connection with the negotiation and documentation of debtor-in-possession financing orders, cash collateral orders, sale orders and plans of reorganization. She also has extensive experience structuring, drafting, negotiating and enforcing intercreditor agreements, subordination agreements and agreements among lenders in multi-lien and unitranche arrangements. In addition, Ms. Kim has experience representing financial institutions in structuring, negotiating and documenting debt finance transactions, including, asset-based and cash-flow secured loan transactions, split collateral secured loan transactions, unitranche financing transactions, second lien loan transactions and mezzanine loan transactions. Ms. Kim is admitted to practice in Illinois and California. She is a member of the American Bankruptcy Institute, Turnaround Management Association and the American Bar Association. She has been published in the Bankruptcy Strategist (April 2015), co-authoring the article "ABI Bankruptcy Reform: Will It Destroy Cash Flow Lending,"
She received her law degree from the University of Chicago Law School in 2011 and her B.A. in psychology and economics from the University of California, Los Angeles, in 2007.